Former UFC lightweight title contender Nate Diaz was making his highly anticipated Octagon return against Dustin Poirier in the co-main event of UFC 230 on Nov. 3, 2018, from inside Madison Square Garden in New York, N.Y. However, this bout scrapped after ‘The Diamond’ forced to pull out of a fight due to an injury. Many of you who thought younger Diaz wasn’t going to fight at UFC 230 well think again. 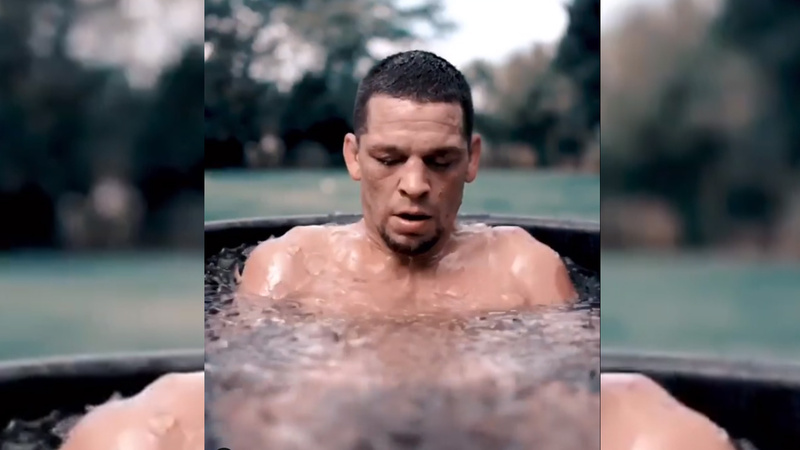 This conjecture recently shattered when Nate Diaz took to his Instagram and posted crazy footage from his training camp ahead of his fight against Dustin Poirier. “A little footage from my last fight before my opponent bitched up…#Champlife,” wrote Diaz. “The Stockton Slugger” didn’t step inside the Octagon since his decision loss to Conor McGregor at UFC 202 back in 2016. As per UFC head honcho Dana White, Nate Diaz has turned down multiple fight proposals offered by the promotion. The reason is that UFC is not putting together good offers to entice the lightweight prospect to get back to action. As for Dustin Poirier, he’s booked to take on current featherweight champion Max Holloway for an interim lightweight title at UFC 236 PPV event on August 13 in Atlanta. Now you must be in awe that Nate Diaz was so into his training camp for Poirier fight, but what’s next for “The Stockton Slugger” is unknown as him and UFC can’t seem to come to terms for his next showdown. How many of you want to see Nate Diaz back in Octagon soon and who should he fight next?